Hello lovelies, it's nearly Christmas! 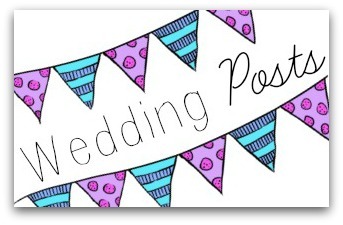 And tomorrow is my birthday- woohoo!! I cannot wait! This may well be my last post before Christmas now and with the weather being rather chilly (even in Cyprus), I thought I'd do a post on my favourite winter beauty products. 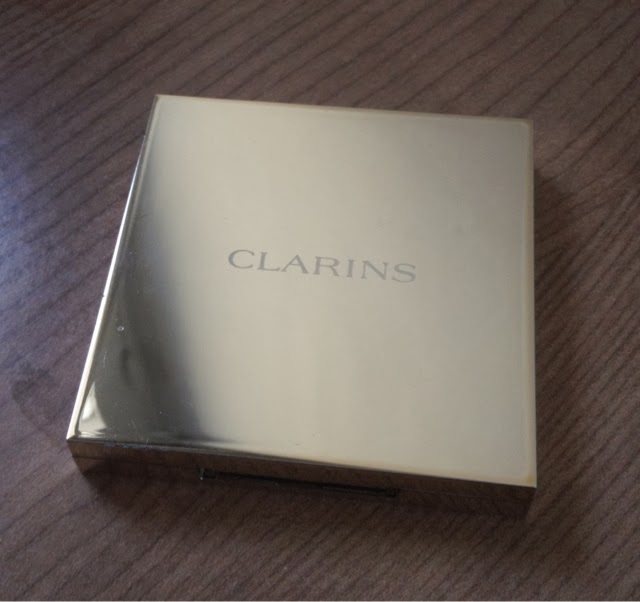 I've been loving quite a few clarins products of late. It's not something I'd usually buy due to the more high end price tag but I thought I'd indulge myself a bit. The beauty flash balm has been a life saver over the festive period for parties, keeping my make up in place for hours and giving a nice glow to my skin. It glides on easily and a little bit goes a long way to create the perfect base for my foundation. I used this a few weeks ago for an all day makeup and it lasted over twelve hours!! Very impressed. I also picked up the hand and nail cream which has a lovely creamy citrus type scent to it (I guess that's the best way to describe it?) and leaves my hands feeling replenished and soft. The cream sinks into really easily and doesn't leave my hands slimy or greasy. 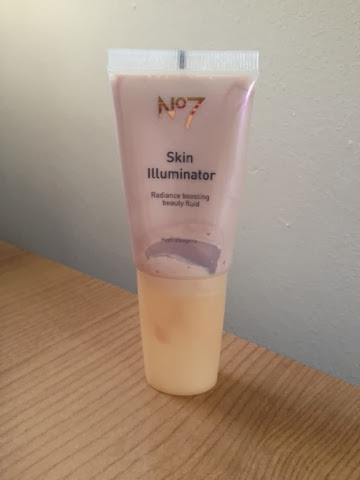 I've also come back to my no7 skin illuminator. It's a great highlighter- not too shimmery and gives a lovely healthy glow for the dull days. The only thing that did annoy me with this was the brush in the end as is got clogged up regularly so I chopped it off and apply it to the back of my hand before applying to me face. I've also gotten into moisturising my face of a night time as the cold air and heating is very drying on my skin and it's been looking quite dehydrated. 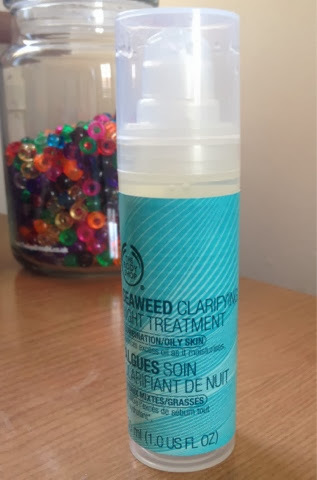 This bodyshop seaweed clarifying night treatment is great for hydration as well as keeping my oily skin mattified. It's really refreshing too! Now onto my favourite product by this works. After Lisa Eldridge's high recommendation on this product I took the plunge and bought it. 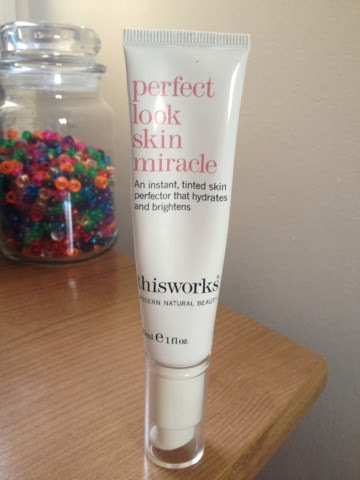 This perfect look skin miracle is a very light tinted moisturiser packed full of skin goodies such as vitamin e and c and hyaluronic acid and really brightens the skin. It's got a lovely tinted formula which makes the skin look slightly tanned. This has been a godsend to mix with my foundation for less of heavy coverage and a sunkissed look as well as nourishing my skin. 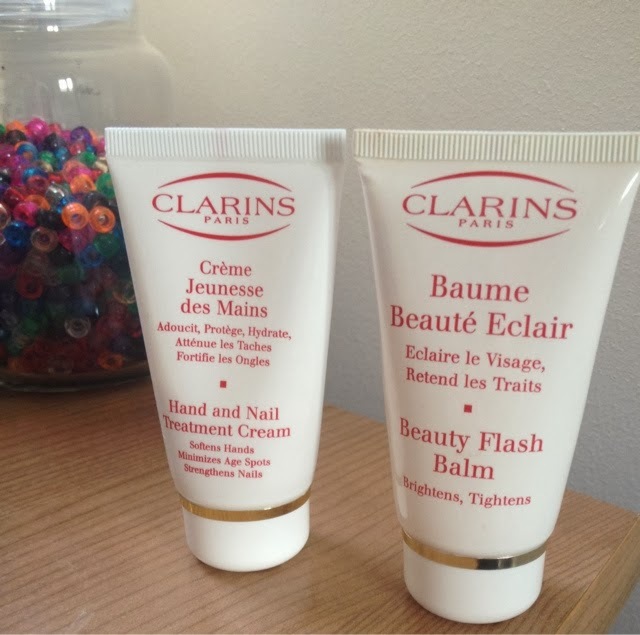 Aaaand back to clarins! 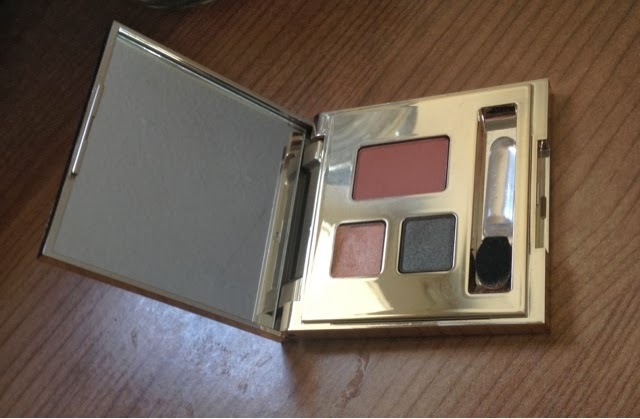 This palette has been sat at the back of my makeup collection for a loooong time- I'd totally forgotten it had existed but I'm so glad i rediscovered it! 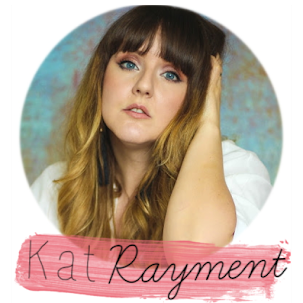 The rose gold eyeshadow is the perfect day colour and is really complimenting my skin colour after the Cyprus sun. I love the blush for giving shape and colour to my face too and again looks great with a tan! Happy days! The packaging is also gorgeous, so glad I treated myself to this, it really is beautiful. 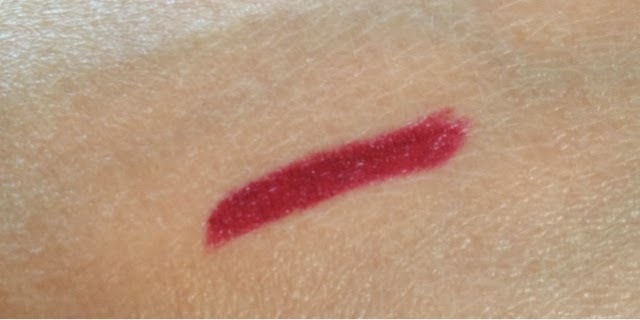 And finally a lip colour which is very popular (with most bloggers to be honest!) 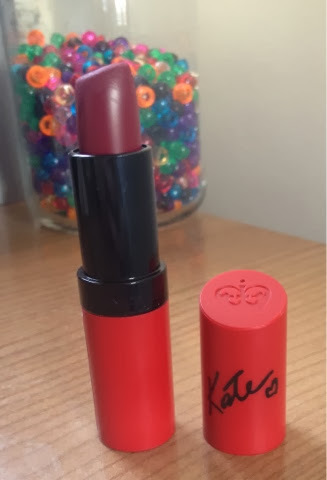 the Rimmel Kate Moss lipstick in shade 107. I bought this colour last year and I'm still mad for it. It's a lovely consistency as it's not too creamy nor drying on the lips and has a fair amount of staying power as well as being an on trend colour. I also think it compliments my skin tone when I'm paler and also when I'm tanned, horrah.. 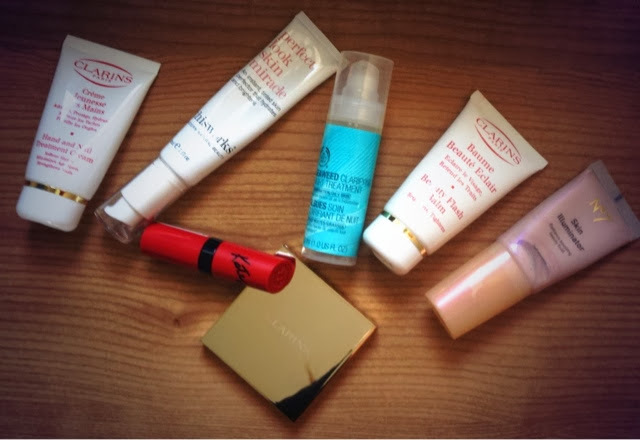 So those are my winter beauty favourites! 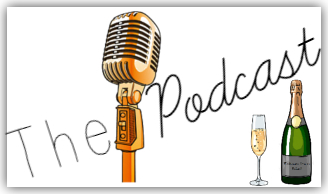 I hope you guys like them and let me know what you're loving at the moment. And if I don't do another post before- have a Merry Christmas!